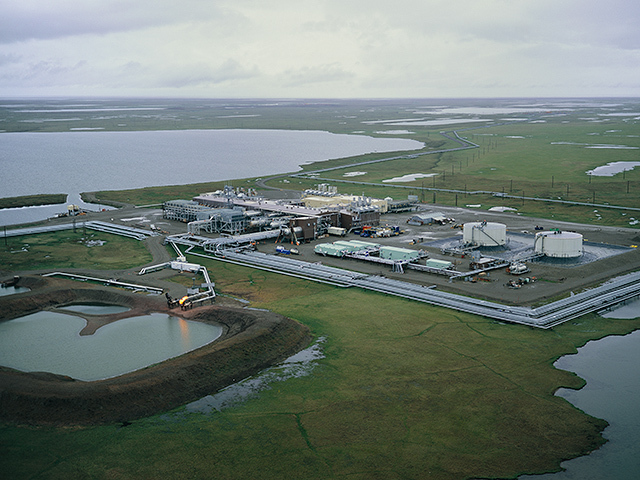 Prudhoe Bay oil field complex on the Alaskan Arctic tundra, is the largest oil field in North America and one of the largest industrial complexes in the world. There, BP, ExxonMobil and ConocoPhillips, have already extracted more than 11 billion barrels of oil since 1977. This onshore industrial sprawl has caused significant ecological fragmentation and damage on the fragile tundra, from more than 1,000 square miles of roads, pipelines, gravel pads, and other infrastructures, as well as from hundreds of oil spills each year, including, a LARGE SPILL of 267,000 gallons of crude oil in 2006. For a good background on the cumulative environmental and cultural impact of oil and gas development over the past three decades caused by the Prudhoe Bay oil fields see the report published by the NATIONAL RESEARCH COUNCIL in 2003.